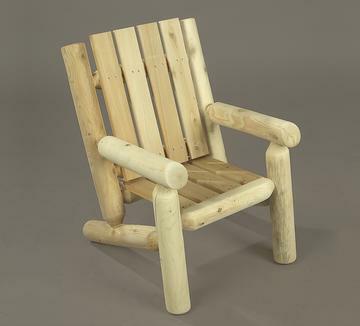 The Junior Log Chair is the perfect size for your child. You can pair it with the Log 27" Round Coffee Table to give them their own outdoor dining area. 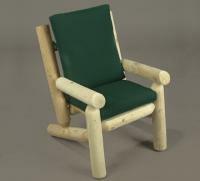 The Junior Log Chair is smooth sanded for extra beauty and comfort. 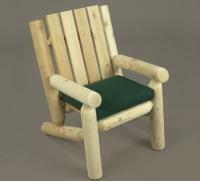 For more information on the performance of Northern White Cedar log furniture click here. Shown with #N28 Junior Log Chair Seat Cushion (both photos) and #N29 Junior Log Chair Back Rest (right photo) in Hunter Green.